Home / Roofing / Who’s the Best Church Roofer in Okaloosa County, FL? Among other design elements, the roof plays a vital role in the structural integrity and beauty of a church. Unlike the average roofing system of a house, a church roof is massive in scale. Its construction and maintenance shouldn’t be left to just any roofer. Our company strives to be adept in different roofing materials, for church roofs come in a variety of designs. For example, the Village Baptist Church boasts a sleek standing seam metal roof, which is the opposite of the modern low-slope roof of Shoreline Church. Our proficiency in asphalt shingles, metal panels, cedar shakes, and tiles, as well as built-up and modified bitumen roofing systems, makes us well-rounded. As a result, we’re qualified to work on pitched and flat roofs. 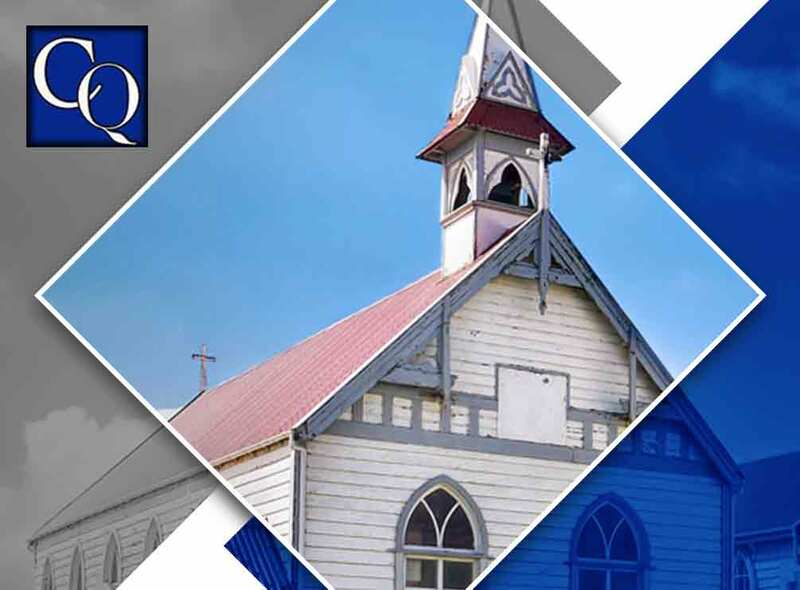 CQ Construction and Roofing is the authority on church roof inspection, maintenance, and installation. We have many successful past projects under our belt. We’ve serviced the First Baptist Church in Garden City and the Seventh-Day Adventist Church in Crestview. A contractor that lacks real-world experience in church roofs can’t promise to deliver sterling work. Considering that the typically complex design of a church roofing system, you need a seasoned roofer to handle the job to avoid workmanship errors. Our company has been providing roof repairs and other services since 1999. Our two decades of industry excellence is a testament to our technical capability and integrity. Don’t just take our word for it, though; the BBB has given us an A%20, the highest any accredited business can attain. Turn to CQ Construction and Roofing to keep the weather from interrupting your church services. Call us at (850) 634-4007 to discuss your place of worship’s roofing needs and get a free estimate in Crestview, FL, or any neighboring area.